SmithAmundsen opened the St. Louis office as part of its growth into a full service business law firm. We brought together a cohesive, collaborative and diverse group of local St. Louis attorneys with the breadth of experience to handle any issue a business client might face. 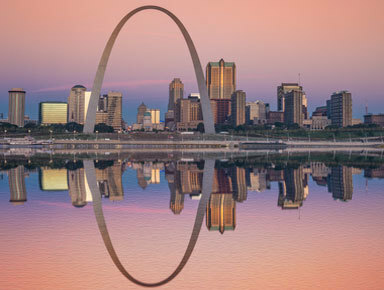 The St. Louis office regularly handles every kind of commercial legal business from transactions to complex commercial litigation, from tax to real estate and everything in between. We manage a diverse group of clients from small closely held companies to Fortune 500 companies facing legal problems in areas like business acquisitions, development of real estate, complex tort litigation, tax disputes, employment related controversies and contract disputes. Most importantly, we do all of this as a team to leverage our cross disciplinary knowledge for the benefit of our clients. The best part of St. Louis is that it is a big city with a rich history that often feels like a small town. Our attorneys are locally grown talent (and die hard Cards fans); we are knitted into the fabric of the St. Louis legal community giving our clients the home field advantage whether they are a St. Louis native or a newer member of the business or professional environment of our town.